CARDIFF (UK)—An international team has successfully sequenced the panda genome for the first time. The project is shedding light on some of the giant panda’s unusual biological traits, including its famously restricted diet. The genetic insights gleaned from the work may aid conservation efforts for the endangered species. Full details were reported in the journal Nature. Giant pandas are known for their bamboo diet but the researchers discovered that the animal actually lacks the genes necessary for compete digestion of this staple food source. Mike Bruford, a professor at Cardiff University School of Biosciences, worked on the study as part of an ongoing collaboration with the Chinese Academy of Sciences, Institute of Zoology, funded by the Royal Society. “The panda is a true bear and is a carnivore, so it possesses the genes necessary for being a meat-eater and yet its diet is almost exclusively herbivorous,” says Bruford. “This may suggest that it relies on microbes in its gut to digest bamboo rather than on anything in its genetic make-up. The study found no signs of low variation that is usually linked to inbreeding and results support the potential for successful survival despite the small population size of the species. 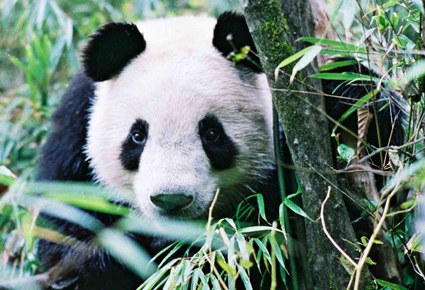 In spite of the panda’s low reproduction rates, the study also identified nearly all the reproduction genes critical for mammalian gonad function and development. “The panda is at high risk of extinction, with current estimates putting total population figures at less than 3,000. 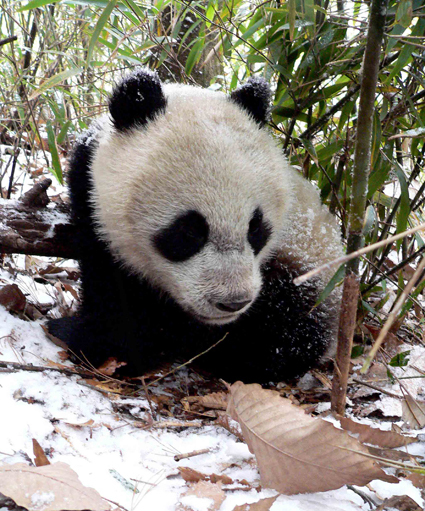 The study gives us a fuller understanding of the genetic basis of the panda’s biology, and will contribute to disease control and conservation efforts,” Bruford says. “Sequencing mammalian genomes also undoubtedly helps our ability to annotate the human genome. A major limitation to this has always been the prohibitive costs involved in the process but the study used a short-read technology that can generate genome draft sequences in a very cost-effective manner.